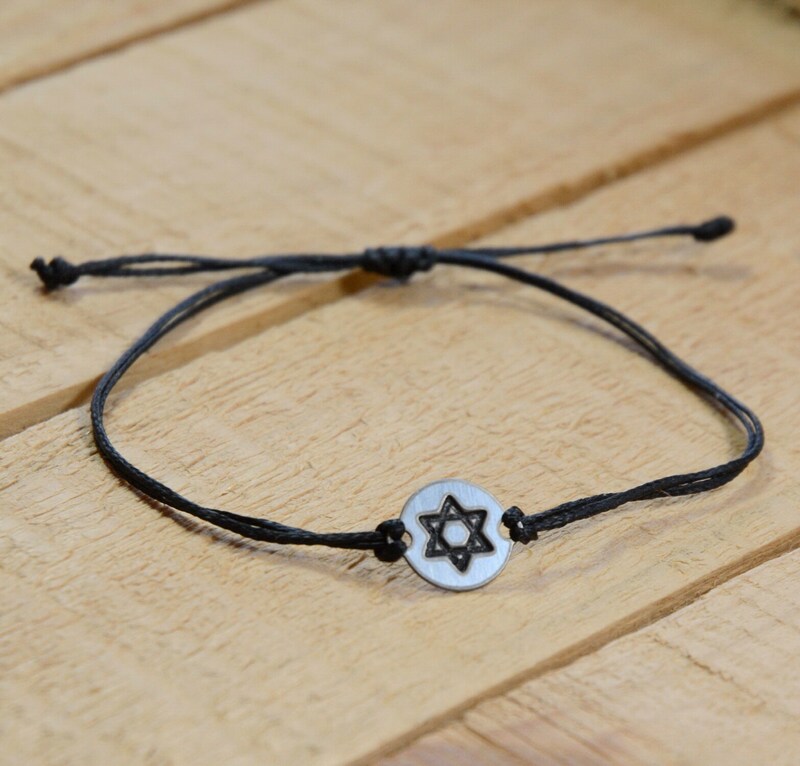 FAITH - PEACE - SOUL: JEWISH Star of David Charm Bracelet - An elegant way to show your faith. 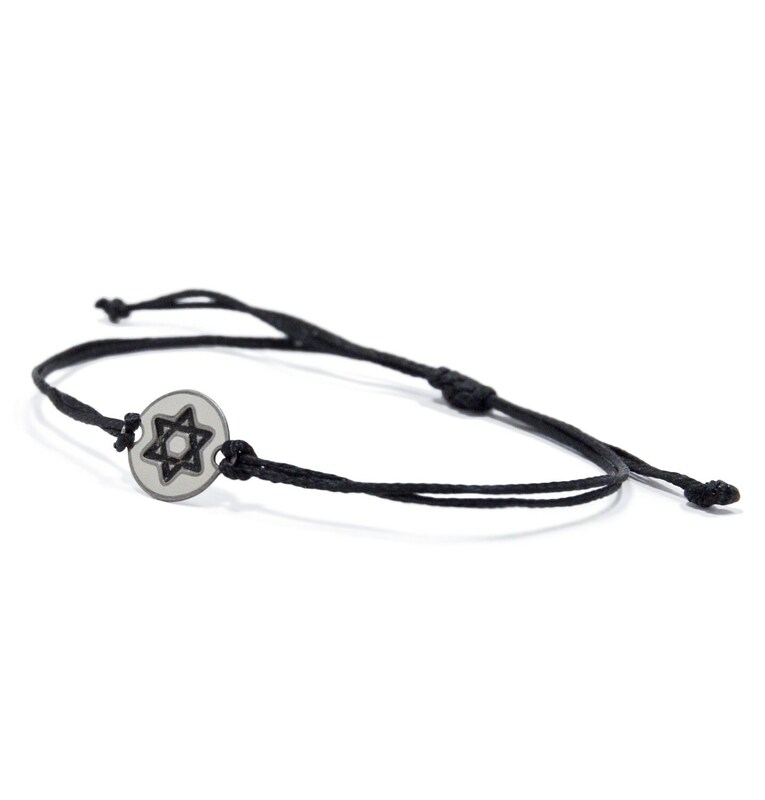 This Star of David stainless steel charm bracelet on double black wire bracelet is adjustable for Men and Women. 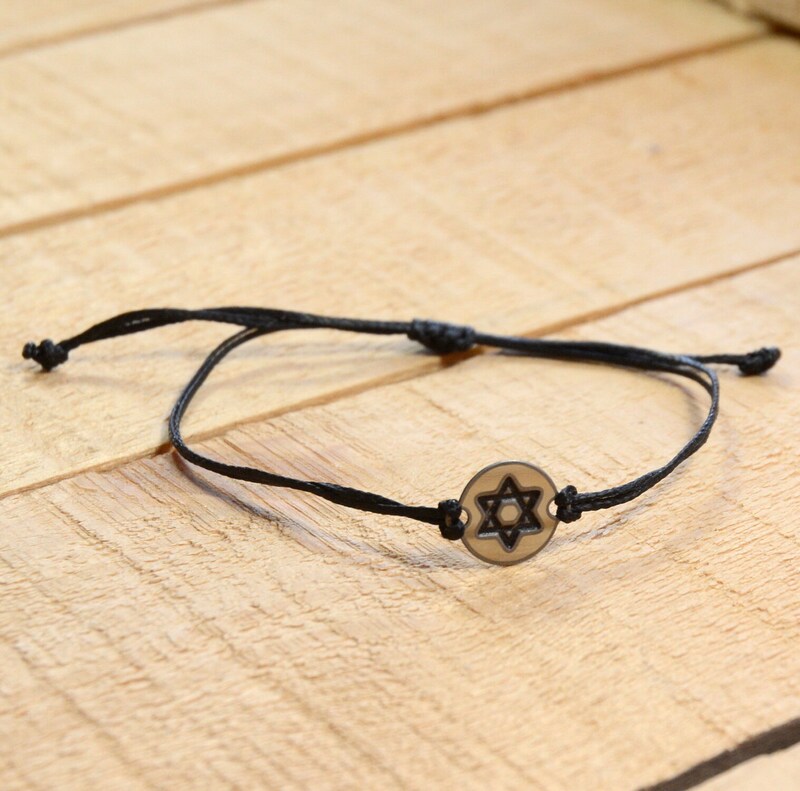 HANDMADE LIGHT & COMFORTABLE WIRE BRACELET for MEN & WOMEN</strong> - The bracelet is handmade with light and strong wax cord with adjustable knot, will fit wrist size up to 8.5 inch. 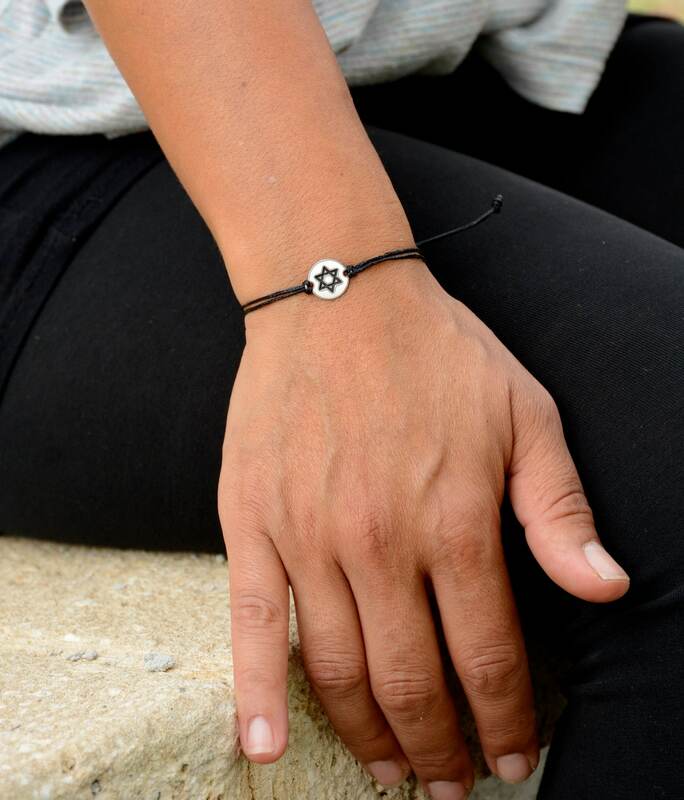 DURABLE, WATERPROOF & HYPOALLERGENIC BRACELET - This is a really tough little bracelet! Featuring a 0.4" round 316L Stainless Steel charm, non fading, non rusting, hypoallergenic and nickel free! 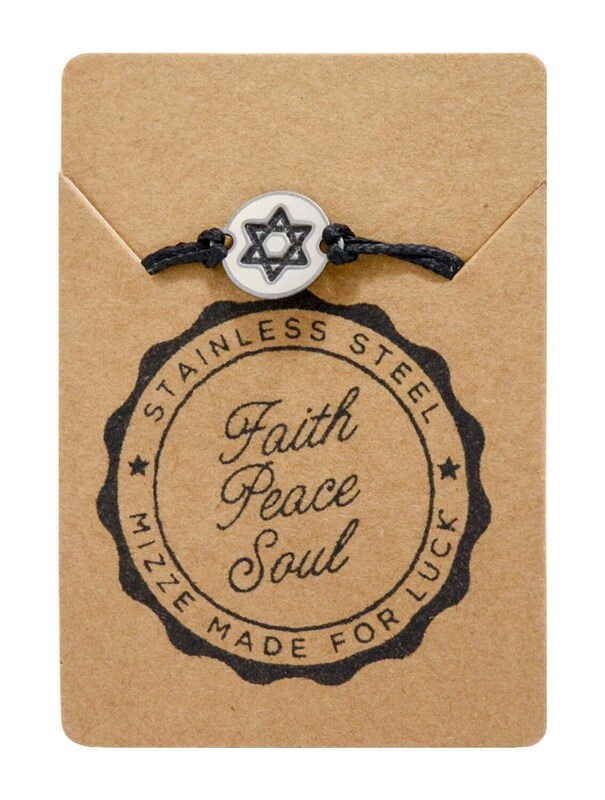 AUTHENTIC MIZZE JEWELRY GIFT for MEN & WOMEN - Each MIZZE Stainless Steel jewelry piece is presented with a recycled authenticity card stamped with the three power words for the charm and packaged in a MIZZE cotton bag. 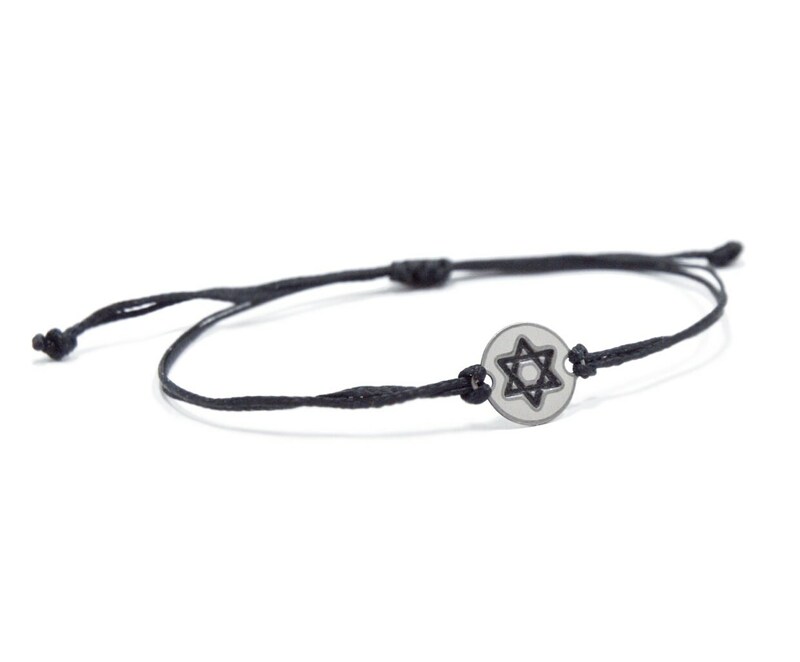 An ideal gift for any occasion!